Vend is South Africa’s leading cloud-based point of sale system that makes it simple to sell to your customers, and keep them coming back. 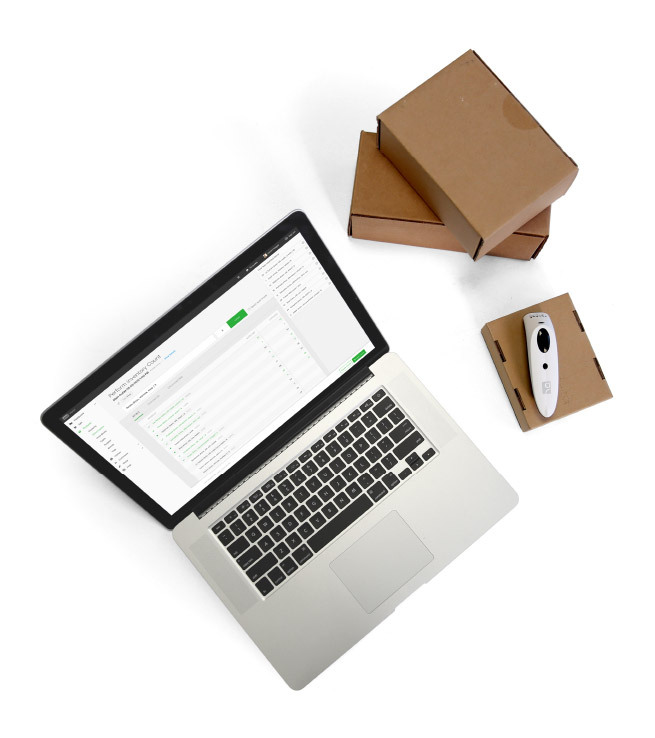 It works on any Mac or PC, and is so intuitive you can get your staff selling in minutes. Vend connects with the most popular hardware, including cash drawers, barcode scanners & thermal printers. We’ve reimagined the checkout process to save swipes, touches and keypad taps. Quicker sales mean more time making customers happy. Create a custom interface using Quick Keys to access your most popular products faster. Intuitive, beautiful to use and a wonderful way to start conversations with your customers. Increase your revenue and reduce your processing costs by issuing custom gift cards or build a customer loyalty program. Create and manage advanced ‘mix and match’ promotions and decide exactly when and why these are applied to a sale. Assign specific user rights to your staff and give them their own dashboard to monitor their sales and to do’s. Choose from a variety of tried and tested payment, accounting, ecommerce and time & attendance integrations. mport existing item barcodes or print new ones. Effortlessly add products to sales, purchase orders, stock-takes or supplier returns with a USB or bluetooth barcode scanner. 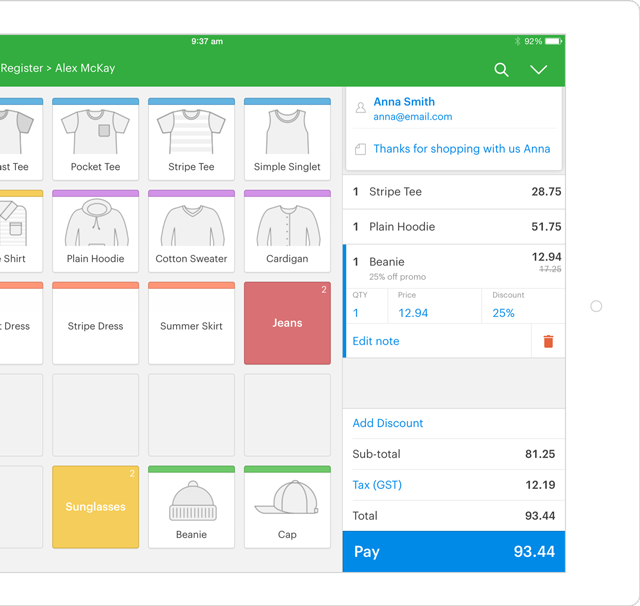 Gain actionable insights with Vend Reporting. See stock on hand, low stock and inventory levels at a glance, so it’s easy to make sure you always have enough of your top-selling products. 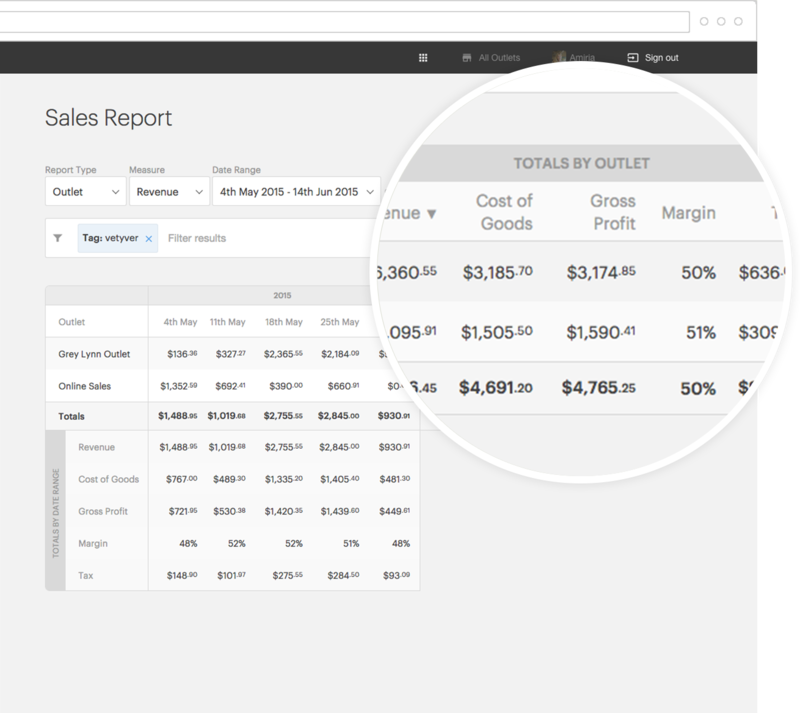 Customize your reports to see how your stores are performing, what products are making you the most money & who your top sales people are. Grow your business with Vend, whether you have two stores or twenty.